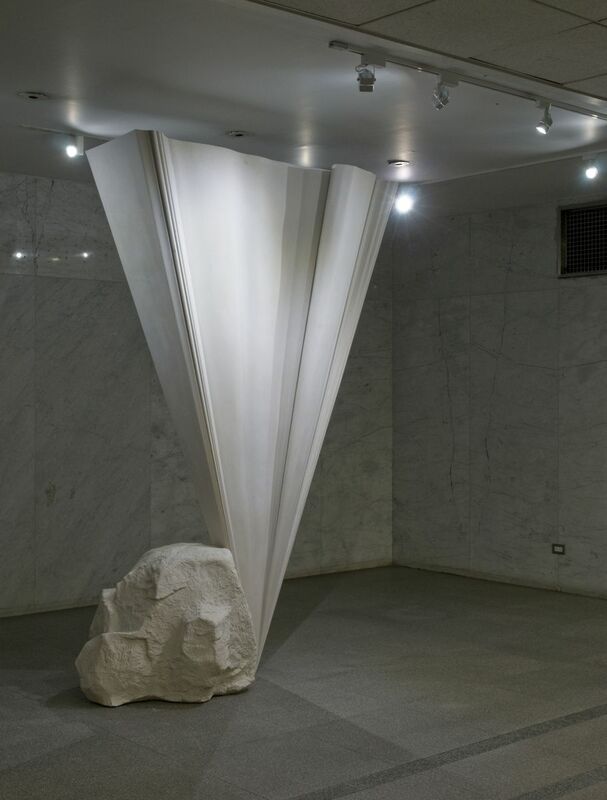 Brooklyn-based Eric Fertman and London-based Nick Hornby's sculptural practices reconsider traditional materials, explore the line between abstract and figurative language and take on a pillar of art history. To develop The Present Is Just a Point, Hornby extruded Michelangelo's David into a single point. Although he employs computer modeling to design his work, Hornby hand casts the resulting sculpture by traditional methods in a mixture of 150-micron ground Carrera marble dust and nautical resin. Carrera marble tethers Hornby's work to Michelangelo and nautical resin, used for the hulls of super yachts, pulls the work into the present and evokes Hornby's poetic title. The marble boulder Hornby nestled against the point supports the sculpture's delicate balance while referring to the split tree trunk that hugs David's right calf. David's buttress is also a Renaissance emulation of an ancient Roman practice. Roman marble copies of ancient Greek bronzes required support because marble, though less expensive, cannot support weight as effectively as Bronze. The boulder grounds The Present Is Just a Point in an art historical lineage and is a winking reference to the canonization of an ancient Roman design flaw. Fertman's semi-abstract, hand-carved wooden sculptures are relatable in their slightly awkward human nature. Sally, a new work created specifically for this exhibition, actively brings Hornby's work into conversation. Sally stands erect and balanced, recalling David's iconic contrapposto stance. Horse hair falls down the front, softening the precise lines and furthering the temptation to anthropomorphize the abstract sculpture. This work also reveals Fertman's desire to elevate mundane forms through thoughtful and clever combinations. 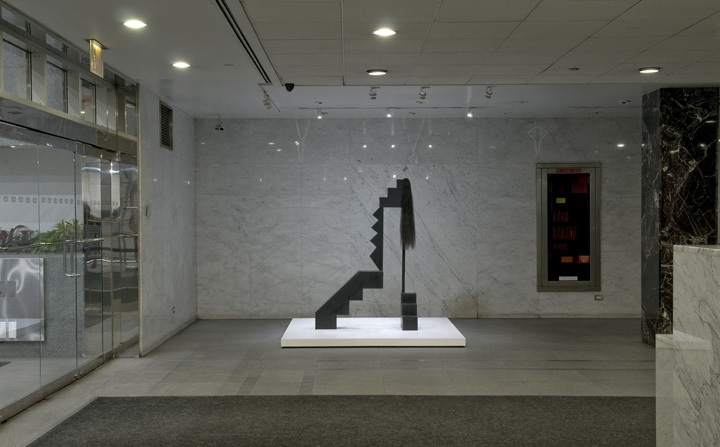 Fertman deploys a stepped element in different sizes and alignments to create the base, core, and top of the sculpture. The elements, when flipped upside down or held on their side, cease to be rectangular steps; they morph into inverted triangles, alluding to the dynamic balancing act of The Present Is Just a Point. The humor imbued in all of Fertman's work is not to be missed while mining the levels of references. Sally is a sculpture with presence and attitude. 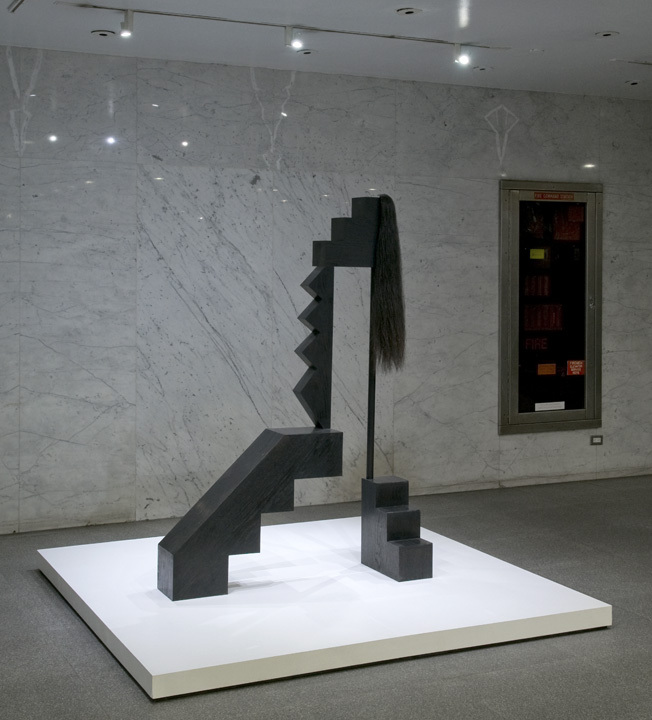 Dialogue is a study in contrasts; black and white, marble and wood, hand carved and computer modeled. But when considered in depth, these works echo each other, creating a witty conversation between the works about the history of art, the evolution of materials and abstraction. 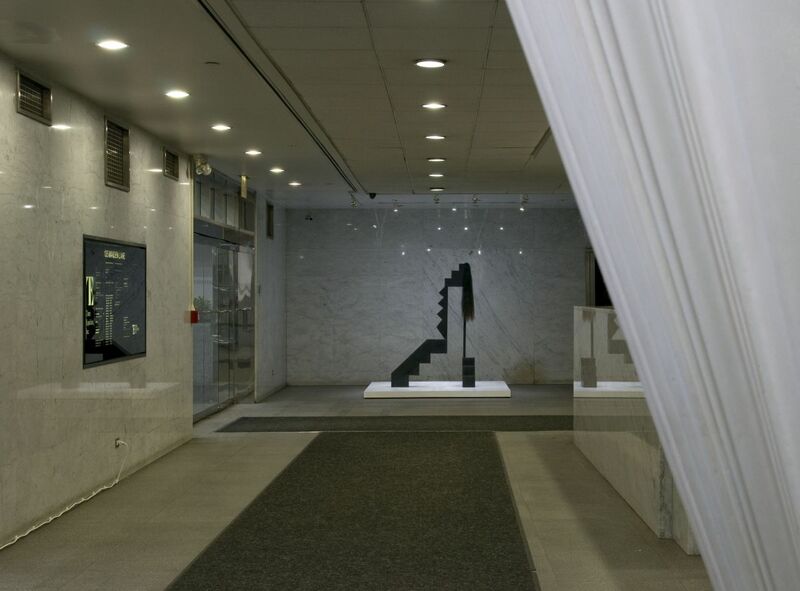 Dialogue is curated by Jennie Lamensdorf and sponsored by the Time Equities Inc. (TEI) Art-in-Buildings. 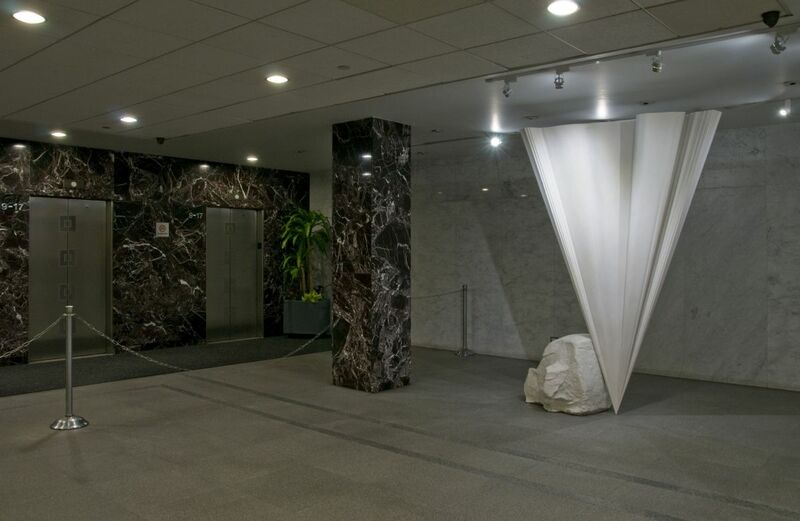 TEI is committed to enriching the experience of our properties through the Art-in-Buildings Program, an innovative approach that brings contemporary art by emerging and mid-career artists to non-traditional exhibition spaces in the interest of promoting artists, expanding the audience for art, and creating a more interesting environment for our building occupants, residents, and their guests. Feb 13, 2014	View All Press Related to Dialogue.